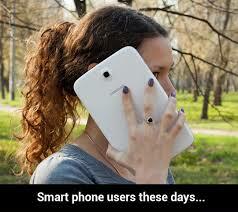 Android rant SmartPhone Stop making such thin, huge, QHD smartphones. 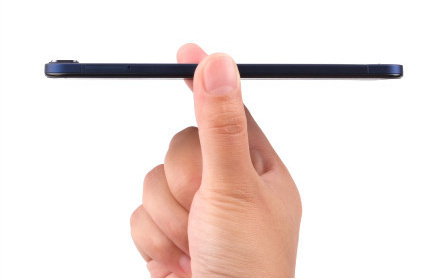 Stop making such thin, huge, QHD smartphones. Many smartphone manufacturers are getting under my skin. They're all pushing features they think we want, when in reality, a lot of this stuff is just marketing to grab more cash from our wallets. Let's take Quad HD (QHD) as an example. I have QHD on my LG G4 right now. Sure, the screen is nice and sharp, but so is my friend's Sony Xperia Z3 with a 1080p screen. In fact, he and I both played a video from YouTube - I played it in 4K, and he played the 1080p - side-by-side, and we couldn't tell a difference in clarity. In fact, we both agreed the Z3's screen was more appealing due to its higher saturation. I still have my Motorola Moto X 2013, which is 720p on a 4.7" screen. I've used it a few times since owning the G4, and I don't look at that screen and say, "euw!" It looks fine. Sony seems to be listening to reason right now, as their latest Xperia X series are all on 1080p still. You know what, their batteries are benefiting from it too, lasting up to two days! To this day, nearly a year after getting my LG G4 with a 5.5" screen, I still prefer the 4.7" size of my Moto X. I could hold it easily and grip it well. My thumb and fingers reached all corners. I could see everything on it just fine. If I wanted a huge screen, I'll pick up my Nexus 7 or go grab my Chromebook. I know I am not alone with this. MKBHD often says he would rather a phone be thicker with a larger battery, than thinner with a smaller batty. I don't need my phone to be so thin it is cutting the inside of my palm. To credit where credit is due, Samsung's S7 Edge is a few mm thicker to compensate for their large battery. Nice!